If your Sacramento home or business has an existing VCR/Tape Based CCTV System, consider an easy upgrade to an Internet Accessible DVR or NVR security system. In most cases you can keep the existing CCTV cameras and cabling and just replace the VCR with a state of the art DVR or NVR. Call today at (916) 550-4386 or Request a Quote. Small offices security camera installations in Sacramento can be completely installed in a day or night. (We offer after hour or weekend installation of security systems. Most Gas stations have security cameras installed already but we can upgrade your analog system to digital. Retail stores and Grocery stores have to have surveillance systems installed to protect their products from employee thief. Pharmacies use analog security systems to keep records of all transaction that cross their counter. Warehouses security is one of the most common installations of security systems. This can lower security guard costs. Apartment buildings install surveillance systems to protect their tenants and property. No matter the size or complexity of your project give us a call today at security camera installation Sacramento for a free consultation with one of our experts. 5 reasons why you should choose us to do your security camera installation Sacramento project today. 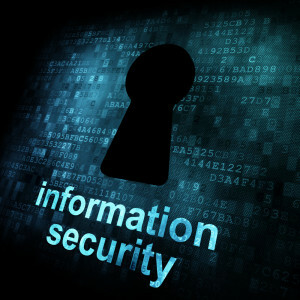 We are experienced and professional security system installers. We provide a 3 warranty on our equipment and our installation. Our equipment is state of the art you get all the latest camera and DVR features. We provide you with a free consultation and estimate. Our customers fall into two primary categories. Those that bought their equipment and just want us to install it for them. And those that want us to help them design their system, select the best cameras and digital video recorders and install everything for them. Regardless of the category you are in, we can help you. Just give us a call and we will consult with you for free and help you install your security camera systems. Video surveillance technology is a powerful deterrent to internal theft. It can provide evidence and protect you from fake claims that would other wise end in a law suit. Mr Surveillance provides state-of-the-art solutions for home security in Sacramento that are as advanced as our IP technology. We use the latest digital video recorders for continuous, automated recording and HD clear images that never degrade. Analog security camera’s, digital video recorder and CCTV equipment can integrate seamlessly with iPad and Android remote monitoring systems and we install them all. 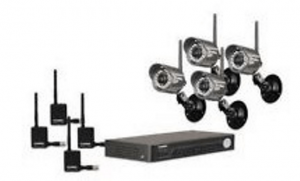 SavvyTech Security CCTV cameras and DVR‘s offer quality video surveillance at an affordable price in Sacramento, California. Mr HomeSecurity sells SavvyTech products along with Sony, HikVision and many other high quality security Brands. Through our direct partnership with Mr HomeSecurity we are able to offer SavvyTech Security products at wholesale prices. This is one of the reasons that we can offer our security camera installations in Sacramento at such a low price. Call us today at (916) 550-4386 or request a quote for more information on how to get started with your surveillance installation. Check below for sales on security cameras going on right now. Security Camera Installation in Sacramento. For our Sacramento customers we offer a full line of DVR’s, NVR’s, CCTV security camera products at Internet level pricing from a trusted Manufacturer with over 10 years designing and deploying security products. We offer technical support on all products so if you want to DIY do it yourself we will be here to help you all the way through your security installation. Our large selection of CCTV cameras and security equipment ensures that we have the products you need to keep your commercial business safe and secure. From a single home to a multi-location nationwide chain of retail stores, we have the security products that are right for you and your business. If your Sacramento facility has an existing VCR/Tape Based CCTV System, consider an easy upgrade to an Internet Accessible DVR or NVR. In most cases you can keep the existing CCTV cameras and cabling and just replace the VCR with a state of the art DVR or NVR. Call today at (916) 550-4386 or Request a Quote. As security camera installations become more prevalent, it’s vital to choose the proper camera finest application. Use the following like a reference guide around the types of cameras out there and some of the key features for your upcoming installations. Beyond this list, there are many other names that cameras are called, but most of those are related to the application in which the unit will be used vs. the sort of camera (i.e., nanny cam, front door cam, elevator cam, license-plate cam, etc.). Other references refer to housings, such as weatherproof, tamper-proof, etc. A bullet CCTV camera is often a wall-mount or ceiling-mounted unit that’s typically designed for indoor use, but tend to also be fill some outdoor applications. The camera derives its name looking at the sleek, thin cylindrical shape. Many bullet cameras also tout themselves being waterproof. The camera just isn’t typically designed to have pan/tilt/zoom control but instead to capture images coming from a fixed area. Being used mounted pointing at the particular area. It’s clock… it’s a smoke detector… it’s motion sensor. The true answer is none of the above. These are merely some of the disguises for covert cameras. Naturally, covert cameras can be characterized by conventional cameras placed in discreet locations. These tiny cameras are very well suited for desktop use for Skype as well as other low-resolution teleconference applications. The main element to outdoor cameras is the housing itself, which should be impenetrable to all moisture, dust, insects and other elements.This allows the camera to be stationed outside without concern. These cameras are perfect for parking lots, or exterior surveillance. These night-vision cameras manage to see images in pitch black conditions using IR LED’s. Occasionally they are for mobile applications. Infrared cameras are complete with heat imaging ability. These cameras provide the owner complete peace of mind even in the midst of the night. A camera using a varifocal lens allows the operator to zoom in or out while still maintaining focus on the image. Day/night cameras atone for varying light conditions to permit the camera to capture images. They are primarily used in outdoor applications in which the security camera is positioned with an outdoor parking lot, for instance. In many cases, units are dubbed as using a wide dynamic range to perform in glare, direct sunlight, reflections and strong back light 24/7. Not all wireless cameras are IP-based. Some wireless cameras may use alternative modes of wireless transmission. But it doesn’t matter what the transmission method, the main benefit to these units remains to be the same: extreme flexibility in any installation. These cameras, both hardwired and wireless, transmit images on the internet, often compressing the bandwidth in order not to overwhelm the web. IP cameras are much easier to install than analog cameras as they do not require a separate cable run or power boost for you images over a longer distance. Ultra high-definition cameras in many cases are relegated to niche markets, such as casinos. These provide the operators the ability to focus with extreme clarity (to think about poker players, for instance, who might have something up their sleeve). Previously, these cameras were tube-based analog cameras, but with today’s digital technology analog has been displaced. The cameras also can transmit their images using HD CCTV. Pan / Tilt / Zoom cameras supply the surveillance operator to be able to move the camera left or right (pan); up and down (tilt); and zoom the lens farther or closer. These are related to surveillance situations its keep is an actual live guard or surveillance specialist monitoring the photographs. There are cameras which have automated pan/tilt/zoom functionality in which the camera is moving forward a timed basis. They’re many times used to cover an extensive area with only one camera, as well as to avoid poor light conditions, for instance a setting sun. 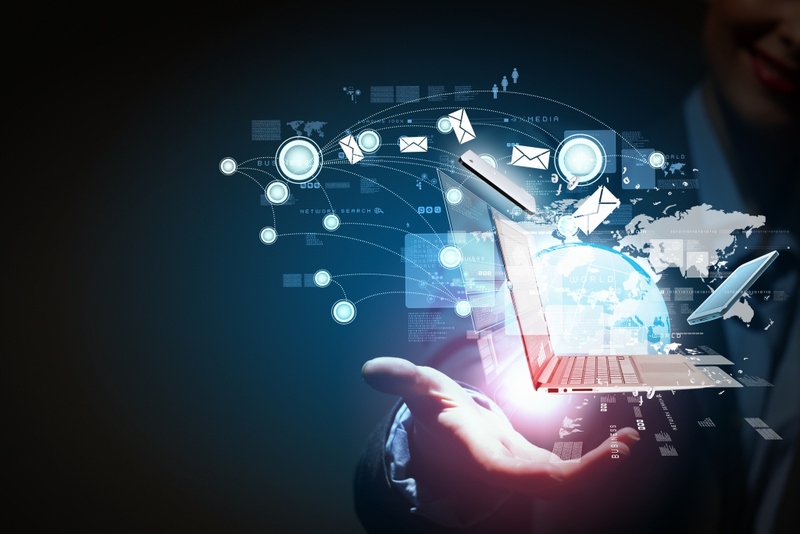 One of our major focuses at Mr. surveillance has been how to automate business tasks. One of those tasks is your weekly payroll. 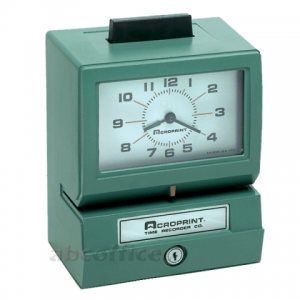 With a modern time clock system that has been integrated into your surveillance system can display your employees as they clock in and out. The automation of this weekly task can eliminate a massive amount of hours of your bookkeepers time. Typically from installing a time clock system you can reach your ROI for the system in a matter of weeks. Call us at 916-213-9904 to learn more about modern time clock system installations and which system is right for your business. The location where wiring terminates as well as your backup battery is situated. This location allows the owner to control the entire system. To arm and disarm the burglar alarm in a separate location than the control panel..
A loud siren to alert you when there’s a break-in and it also notifies the intruder know he’s been detected. Microwave, passive infrared or photoelectric detectors sense modifications in a room caused by human presence. Special Motion Detectors are for sale for people who have pets to accommodate their motion. Magnetic contacts form a circuit from a door and door frame or possibly a window and a sill; if the door or window is opened (and also the alarm is on) the circuit is broken, this also sounds the alarm. Emergency signals from your own home are electronically transmitted on the 24-hour monitoring station, which summons help from police, fire or medics. The most effective home security system will be customized to your lifestyle, should take your schedule into consideration and will specifically protect what you value. It’s been proven that user education is the foremost defense against false alarms. It’s very important that the installer teach you and your family how to properly use the burglar alarm, including false alarm prevention measures. Smoke Detectors: These present an early warning of fireside and should be installed throughout your house. Glass Break Detectors: The unit recognize the sound of glass breaking and may sound the alarm. Panic Buttons: These buttons might be hand-held or may be be discovered in strategic places like next to beds and doors; just pushing the button will sound the alarm. Pressure Mats: These mats can be put under rugs plus they react to pressure from footsteps to activate the alarm. Closed-circuit TV: This can be a private TV system which lets you monitor and/or record inside or outside your home. Alarm Screens: They are special screens for the windows which have a wire woven inside their mesh which will activate your alarm when cut or removed. Check with your homeowners insurance company! Typically they provide a discount between 2% and 20% on the insurance when you use a security system. Ask your agent in Sacramento which kind of system will qualify you for the greatest savings. If your home security system is monitored, it’s going to send a signal towards the central monitoring station every time it is activated (i.e.. the entranceway or window contacts are broken while in the alarm is on, or even the motion detector senses an individual presence in the building). This signal in most cases be sent over your phone line (in some systems, cell phones may be used as a backup). Most of the time the central monitoring station will call your house or office prior to calling the police to confirm that this is not a false alarm. If they do not get an answer your own house or office, or maybe the person who answers the phone does not give the proper password, the central monitoring station will then call the appropriate authority (police, fire or medical services). They’ll also try to contact you or some other one of your representatives so someone can fulfill the authorities at the building. Why do I Need A Security System? A burglary is committed every Ten seconds in America. This results in almost 13 million homes one of every 20. There’s an average loss of $1,300 worth of property per burglary. Based on the National Burglar & Fire Alarm Association, burglars target homes without a security system 3 times more frequently than homes with a system. Today about One inch 6 homeowners have dedicated to an electronic security system – more and more Americans are saying which they feel safer having a home security system. Your chances of a break in are highest soon after you move into a home – Burglars understand that most people don’t install alarm systems until 2 to 4 years when they move in. Burglars are more likely to break into your home between 9:30 a.m. and 4:00 p.m., when you are at work, as opposed to breaking in during the night. Nearly half of burglars break-in through the front door, 32% choose the back door and 22% through a first floor window. The rest of the burglaries through a garage, basement or second floor window. Contact several unique companies. Ask if these are members of the Arizona Burglar & Fire Alarm Association. Our members consent to maintain a high level of conduct under state and national codes of ethics. Contact the greater Business Bureau to determine if any complaints have already been flied against the companies. Narrow the sector to 3 or 4 companies. Arrange a meeting with each company when all members of your household will be present. Be sure to ask for the name of the baby who will be calling on you, and verify his / her identification upon arrival. Require an inspection, demonstration along with a quotation in writing. Also request and check references. Study each contract to ensure that you know exactly what you are getting. 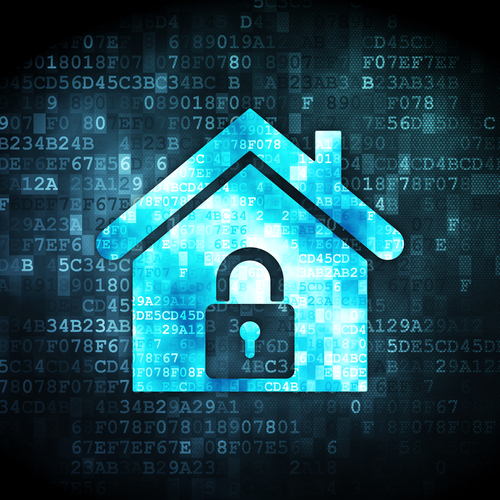 Consider buying vs. leasing a burglar alarm in Sacramento. A burglar system is only as good as its user. Make certain that system installer explains how the system works thoroughly and answers all your questions. Everyone who’ll be using the system needs to be present during this educational process. Many municipalities are actually charging fines for excessive false alarms, as they cost taxpayers 1000s of dollars a year by taking cops away from other duties to analyze the alarm. For that reason, you should be very careful in arming and disarming the body.